Clemens men’s grey-and-red waistcoat. 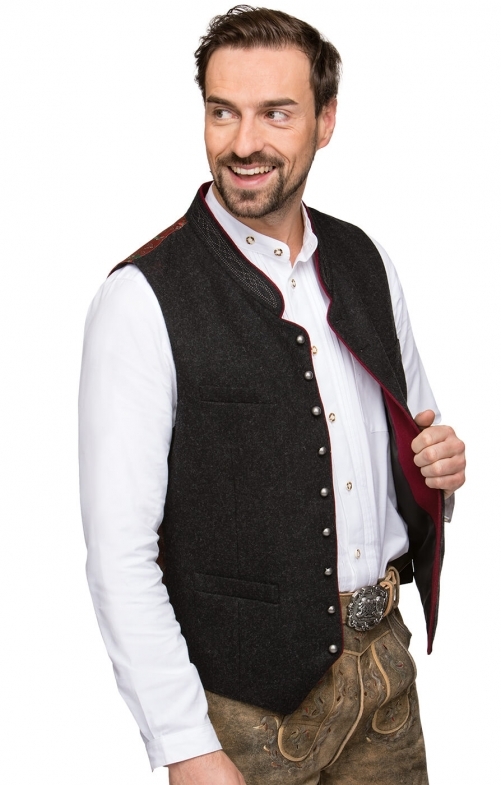 The high collar of this grey waistcoat reflects traditional Bavarian fashion, while a splash of colour is provided by the red lining and red-patterned back. Extra style is added by the round metal buttons, while the generous fit and adjustable buckle at the back is designed to provide maximum comfort throughout Oktoberfest celebrations.